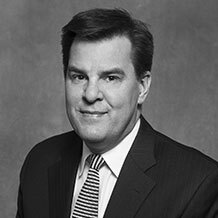 Mark Bridgers is an investment banker and advisor to firms pursuing mergers or acquisitions in the energy, industrial, and utility construction markets. Mark has undertaken buyer and seller representation, supported due diligence and valuation, guided negotiation and deal structure, and completed post-merger integration. His clients include designers, engineers, contractors, energy/utility/industrial corporations, private equity firms, and venture capitalists pursuing financial or strategy focused deals. Mark’s specialty is supporting strategic merger, acquisition, or integration and his deep industry and operational expertise is highly sought after. This expertise originates from over 20 years of providing consulting services to firms in this space. Mark’s consulting experience focuses on helping firms prepare for and successfully navigate “strategic transitions.” Typical projects include strategic plan design; financial performance analysis; diagnosing accounting and financial issues; and development and implementation of tools to reduce construction cost, life-cycle cost, and operational friction. He is a specialist in the management of financial or construction risk, author of Beyond the Bell Curve – A Report on Managing Capital Project Risk, and consultant to firms interested in mitigating infrequent and high-impact risks. Mark is an avid educator, trainer, and writer with more than 20 years of industry expertise both in North American and global markets. His in-depth knowledge of mergers & acquisitions, the global energy markets, electric/gas utility concerns, financial topics, and the surety and reinsurance markets — combined with his ability to convey difficult M&A, construction, insurance, and financial topics to laypeople and professionals alike — makes him an enthusiastic and exciting speaker. In addition, Mark is author of 150 articles and research papers published in industry journals and peer reviewed periodicals. He is frequently quoted on industry topics, including in the Wall Street Journal. Mark holds a master’s degree in business administration from the University of Virginia‘s Darden School and a bachelor’s degree in financial management from Clemson University. He previously earned the titles of Chartered Property & Casualty Underwriter (CPCU) and Associate in Reinsurance (ARe). Mark is currently pursuing a General Securities Representative License (Series 79 – Investment Banking Representative) from Financial Industry Regulatory Authority (FINRA).